Many travel insurance policies boast they provide coverage “up to” some huge amount, like a million dollars. That sounds impressive, but it’s not as useful as knowing the coverage for specific items. For example, the total coverage for lost items may be up to $1 million; but the maximum pay out for a lost laptop might be capped at $500. Many travel insurance policies also cap pay outs for lost cash and jewellery, at around $250 per piece (to a maximum of $500). Some policies have no coverage at all, for such losses. The best coverage for these types of losses come from Aviva, which pays out up to $700. When you know the maximum coverage for your various belongings, you can better plan what to bring along. If you know the cap on lost watches is $250, for example, you had better leave your $1,000 wristwatch at home. If you must bring along more expensive items (e.g. a diamond ring for your child’s wedding abroad), consider buying a separate insurance policy for it. Some activities are considered high-risk, and your insurer may refuse to pay out if you get injured in the process. Typical examples are scuba diving, sky diving, bungee jumping, skiing, and hiking or trekking. When you compare travel insurance on GoBear, you can see which high-risk activities are covered under each policy. “But the whole point of going to the Great Barrier Reef is to dive!” you protest. Well, don’t worry. Some policies let you purchase optional additional coverage, for activities like diving. This will raise premiums slightly, but it ensures you can make a claim if you’re injured in the process. 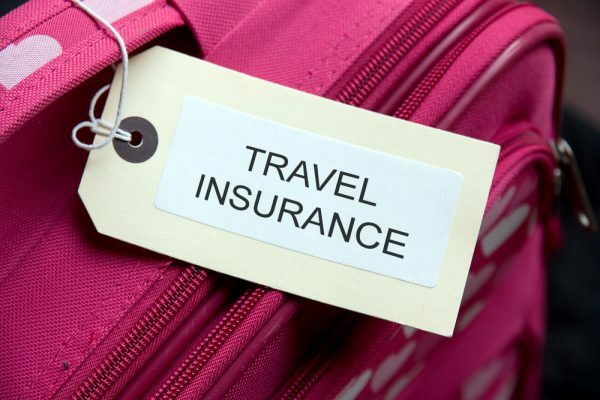 Travel insurance can cover you for delayed or cancelled trips. For example, say you plan a trip a month in advance, but you’re forced to cancel due to travel advisories* (there’s a natural disaster, disease outbreak, or terrorist threat). If you haven’t already bought your travel insurance, then that’s too bad – you’ll probably lose the money you’ve already spent on flight tickets, hotel bookings, and so forth. But if you had bought your travel insurance before the advisory, you could still make a claim for trip cancellation. That’s why it’s important not to wait till the last minute to get insured. You really can buy travel insurance right at the departure gate (on GoBear.com you can get approved in minutes), but why do that? You’re paying premiums to include factors like trip cancellation – you may as well get the most out of your money. *You cannot claim for trip cancellation if the only reason is that you changed your mind! It must due to situations such as travel advisories, the closure of your tour agency, or some other factor that is involuntary. With rare exceptions (check on GoBear from time to time), travel insurance doesn’t cover pre-existing conditions. For example, if you have a heart condition, and this requires you to seek medical treatment abroad, it won’t be covered under your travel insurance policy. As an aside, note that most health insurance policies also don’t cover pre-existing conditions. Please be careful to check, and never travel on the assumptionthat they do. If you have pre-existing conditions such as arrhythmia, diabetes, stroke, etc. but need to travel often, speak to a financial adviser on finding a policy that can help. If you get into an accident because you were drunk – such as by crashing your rental car, or deciding to dive off a five-metre-tall stage at a music festival – your insurer is not going to pay out. In case it needs to be said, the same goes if you’re under the influence of drugs. Don’t be under the impression that your insurer won’t know. Remember that you need to provide certain documents during the claims process, such as a doctor’s letter, or a police report. The insurer’s investigators will find out, with a single phone call, if any substance abuse was involved. So by all means, have a good time – but don’t down a whole bottle of vodka and go wild, thinking “it’s all covered” anyway.